Crispy Chicken Wrap – WellPsyche. Beyond. This is a simple lunch or dinner you can throw together quickly when you want something that reminds you of your pre-plant-based-diet-days. It also packs a hefty amount of protein. 1-2 tbsp of this delicious Creamy Jalapeno Dip. Preheat oven to 425 degrees and place chicken patty on a baking sheet. While chicken patty is cooking make the creamy jalapeno dip. Use a pizza cutter or knife to slice the cooked chicken patty into 4 strips. 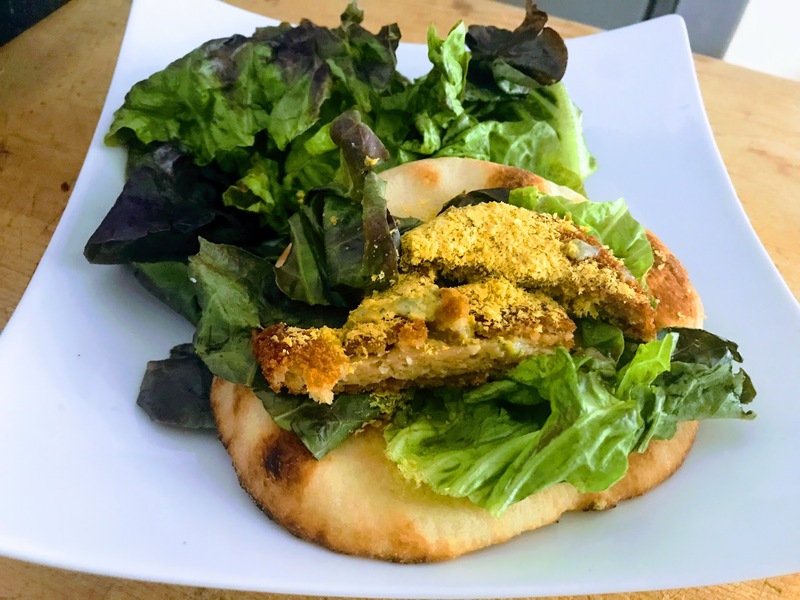 Layer each nan or tortilla with butter lettuce, two strips of crispy chicken, 1 tbsp of nutritional yeast and 1 tbps of creamy jalapeno dip (it’s spicy so use less if you don’t like a lot of heat). Fold into a taco-shape and enjoy! Pingback: Understanding Nutritional Yeast – WellPsyche. Beyond.